Cheapest it's been. If you're spending more than £28.00, you can use the discount code 'MAY28' for £2.50 off your total. 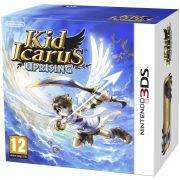 When you purchase Kid Icarus: Uprising you will receive an Exclusive Code which will allow you to download “Kid Icarus: Of Myths and Monsters” (worth £2.70) from the Nintendo e-Shop. One of the most beloved franchises in Nintendo’s long history makes its glorious return in spectacular 3D! Pit of Kid Icarus fame is back in a new game designed specifically for the Nintendo 3DS system, by Masahiro Sakurai, creator of the Kirby and Super Smash Bros. franchises, and his development team at Project Sora. . Anyone have a 10 percent off code left? Haven't ordered for months but dind't get a code! great price i just sold mine to cex for £26 cash game only (so kept my stand, cards and code for gameboy game) but might well rebuy it and i have a £3 off £30 code which would make this just around £20. plus id have a gameboy code to sell/trade. Is it true it comes with a stand because the control scheme is so bad you need all of both hands free? Is it true it comes with a stand because the control scheme is so bad you … Is it true it comes with a stand because the control scheme is so bad you need all of both hands free? The control scheme isnt bad, its just painful after a little while due to hand cramps. Anyone tried it with the additional dual controller? The code thing ended ages ago. theyre just false advertising now. Brilliant game though. well worth it. I got mine around 2 weeks ago. Never got the code. Contacted them about it and couple of days later they emailed the code. The Hut normally take a few days to reply. i ordered from zavvi a while back and got no code, so i rang them and they emailed the code within 10 minutes. 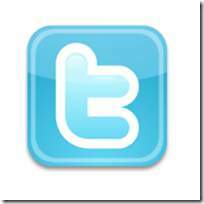 it always pays to call people - emails can take forever for replies - a free call solves it. I had to contact The Hut to get the code too. I'm still waiting for the one from ME3! The circlepadpro is only for left handers and doesn't add dual analogue support. The control scheme's perfectly fine. I bought my copy pre-owned, and it didn't come with the stand. I've been playing holding the 3DS one handed with the stylus in the other and it hasn't hurt. Resting it against your knee can help but it's not necessary. I've been playing on the higher difficulties and breezing through it - when I first heard about the control controversy I wondered why they didn't just go dual-stick with the CPP, but now I see why; the stylus is incredibly quick, letting you jump from target to target easily. I'm twelve chapters in and loving it, easily the best 3DS game so far. A bargain at this price with the code and stand too, makes me wish I'd waited a few weeks. The circlepadpro is only for left handers and doesn't add dual analogue … The circlepadpro is only for left handers and doesn't add dual analogue support. I am left handed so it may help, but I'm pretty sure on some games (MGS?) it adds dual sticks? Got my daughter a 3ds but after reading reviews of the game ive ordered it. Heat.